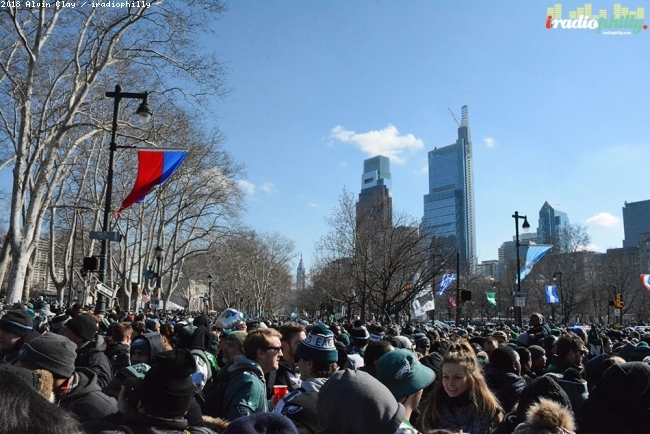 The Philadelphia Eagles defeated the New England Patriots 41-33 in Super Bowl LII on February 4th, 2018. 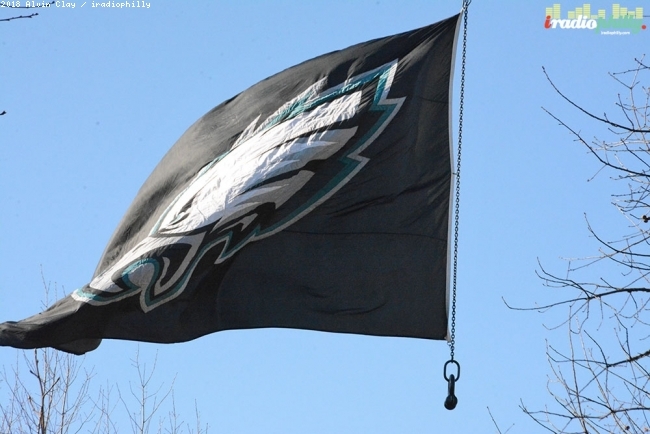 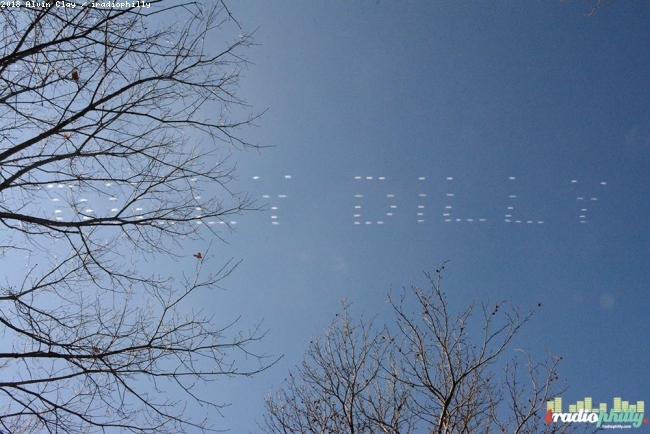 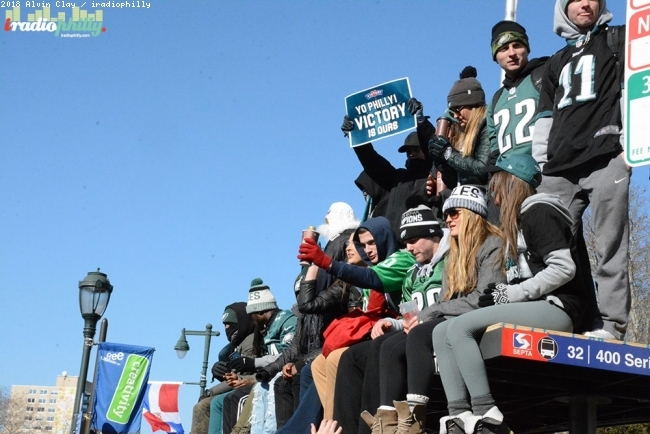 It was the first ever Super Bowl victory for the Eagles' franchise and first championship since they won the NFL Championship in 1960. 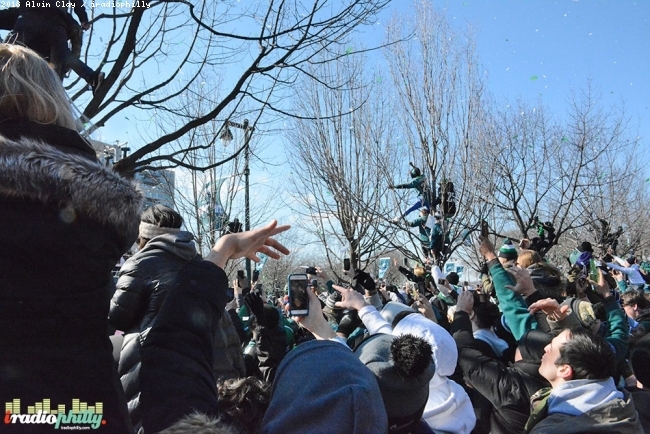 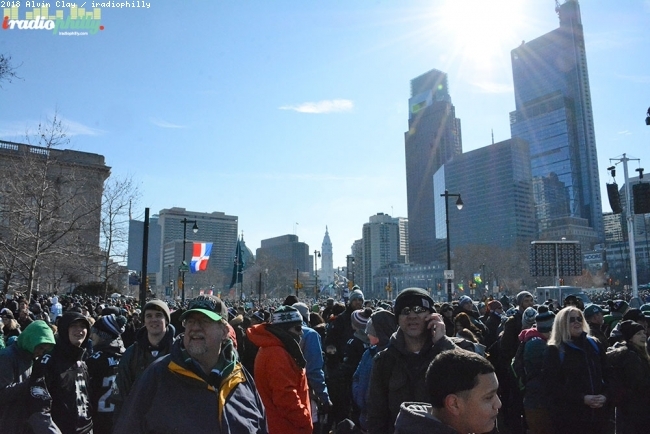 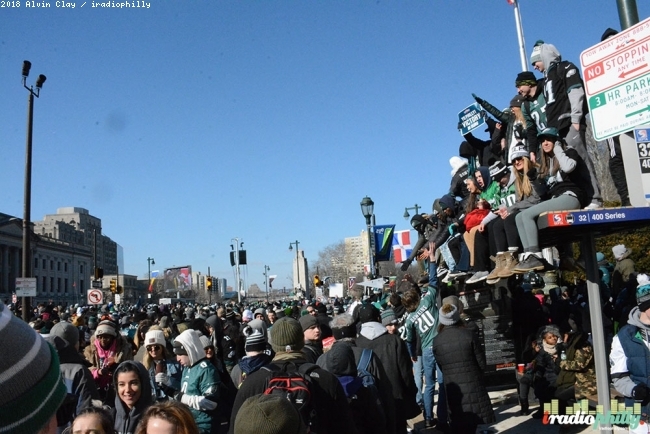 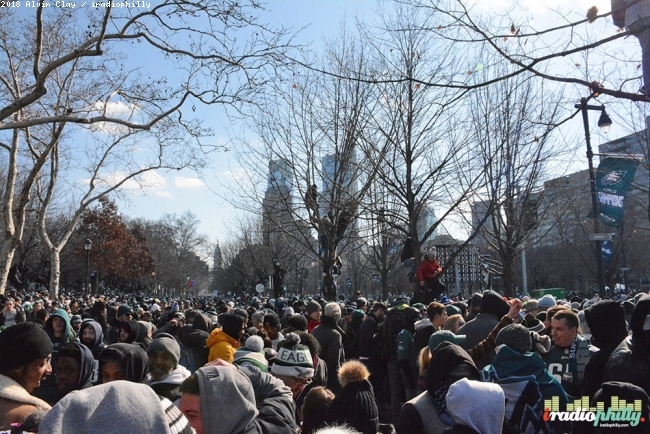 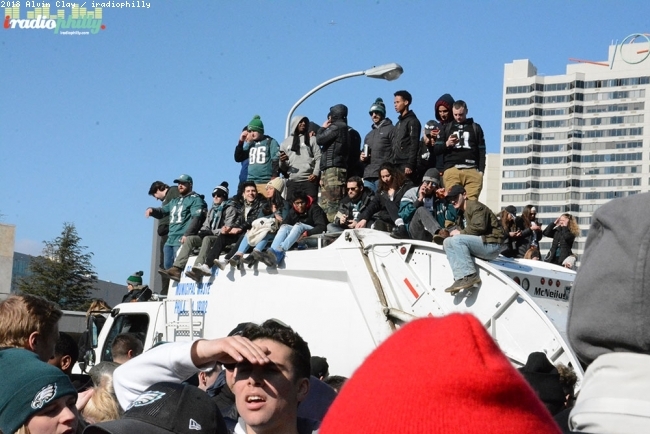 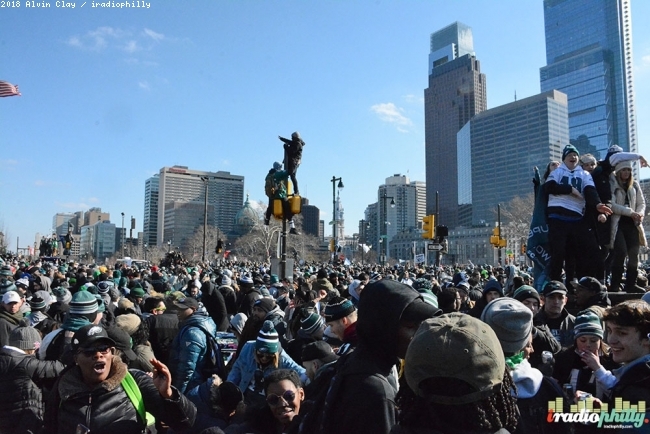 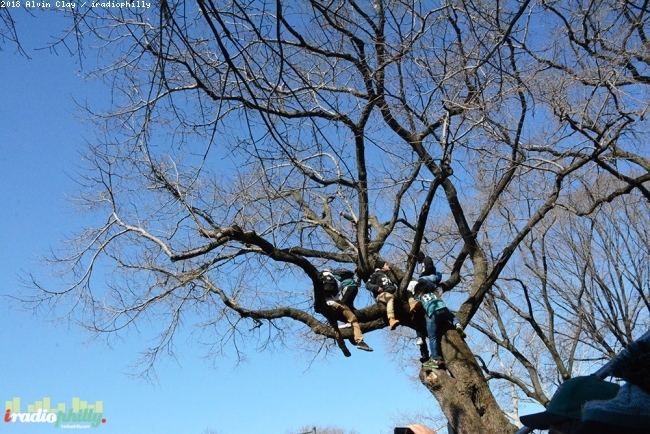 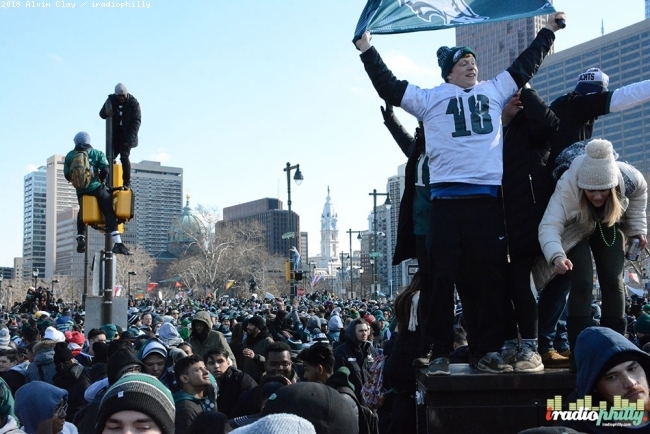 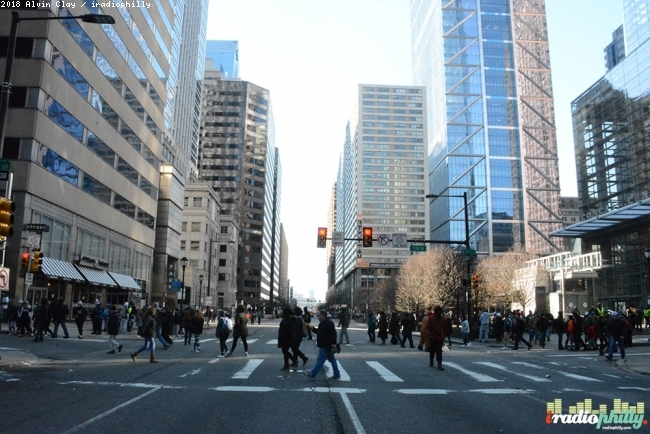 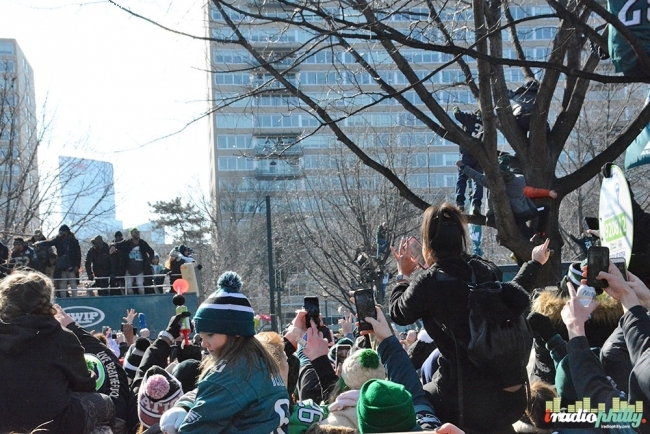 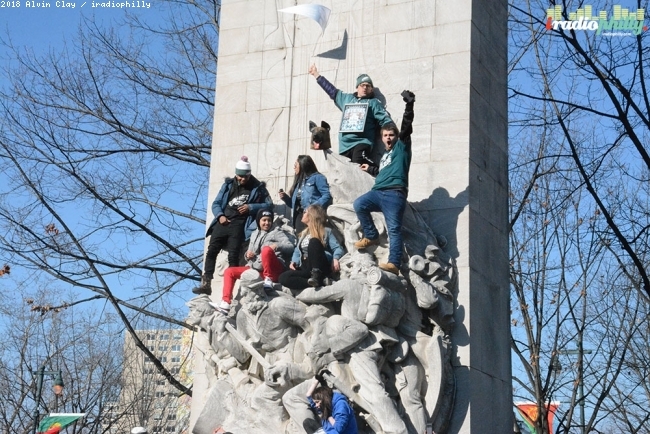 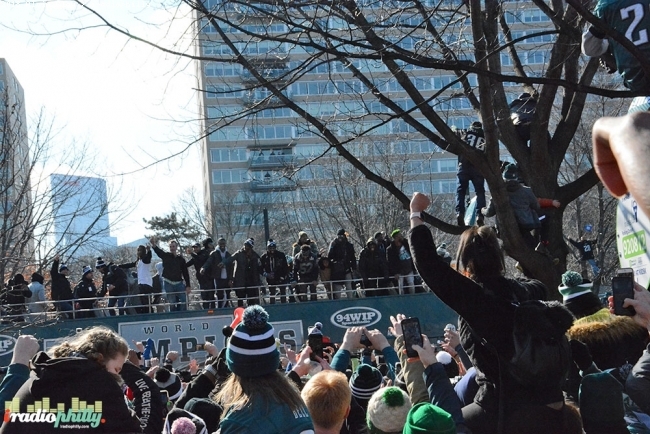 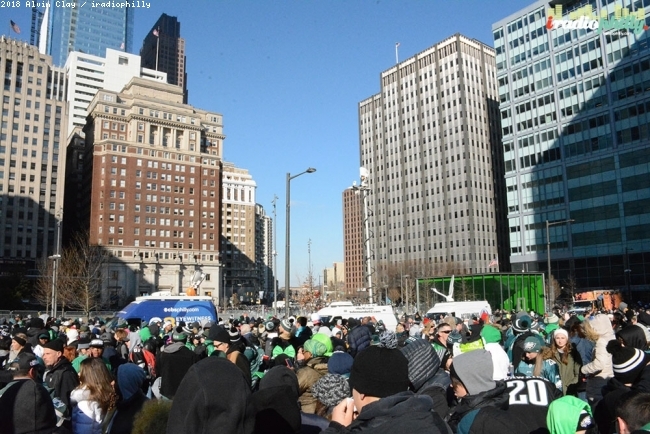 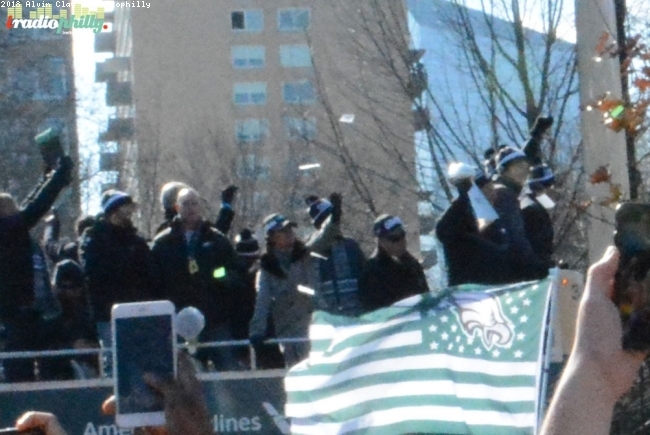 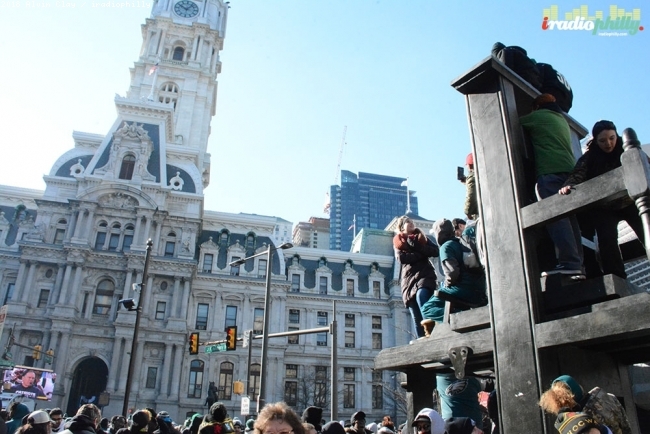 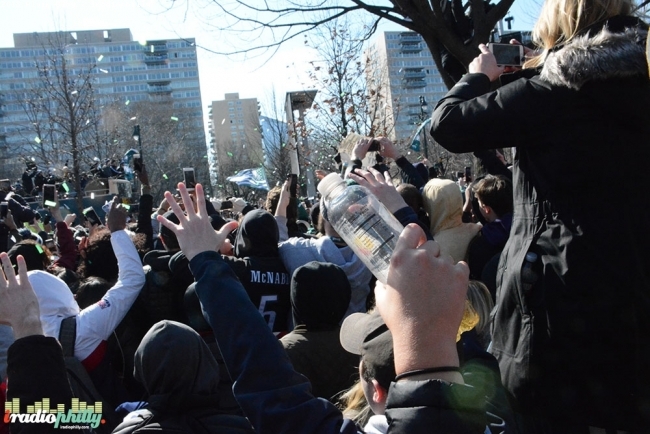 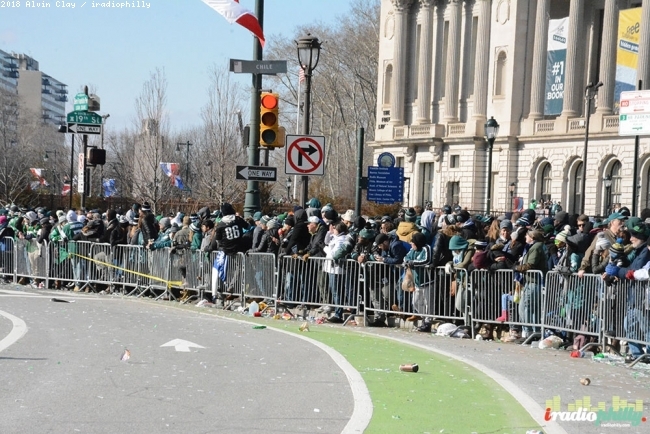 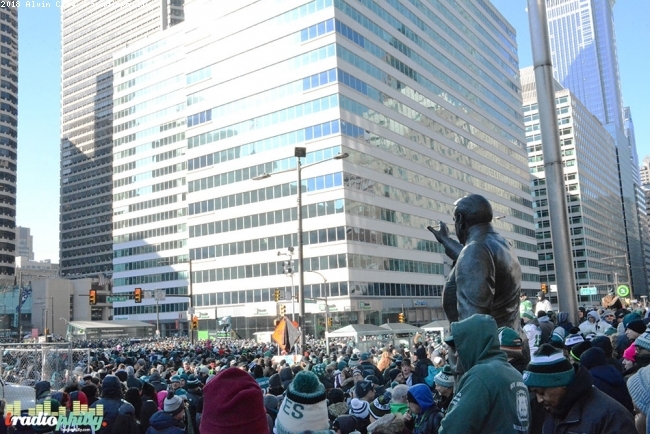 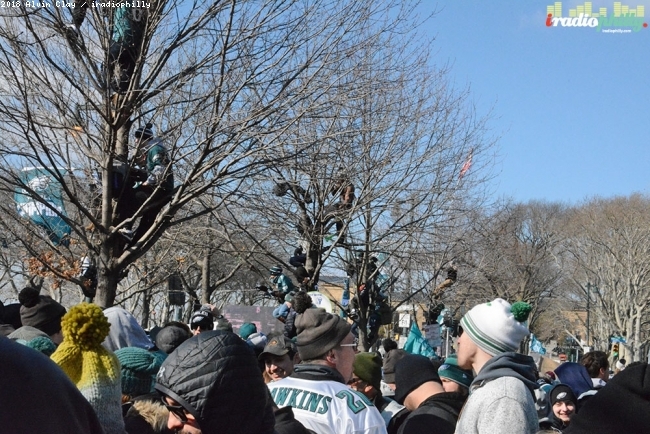 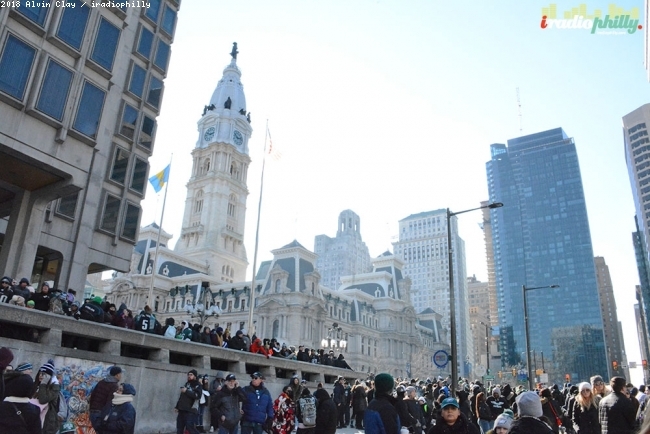 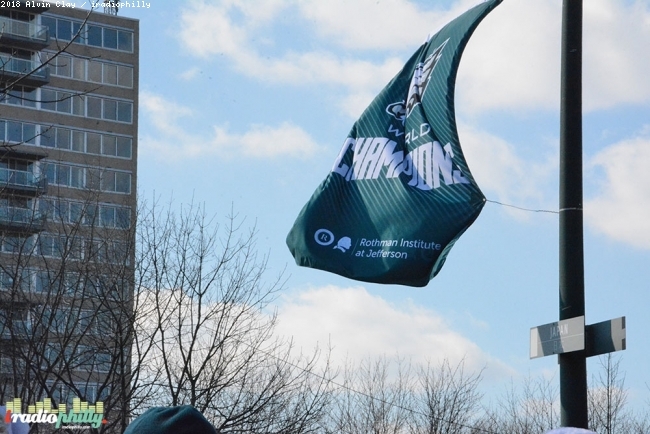 On Thursday, February 8th, hundreds of 1000s (probably over a million) fans lined Broad Street, surrounded City Hall, and engulfed the Benjamin Franklin Parkway all the way to the Art Museum for the team's victory parade. 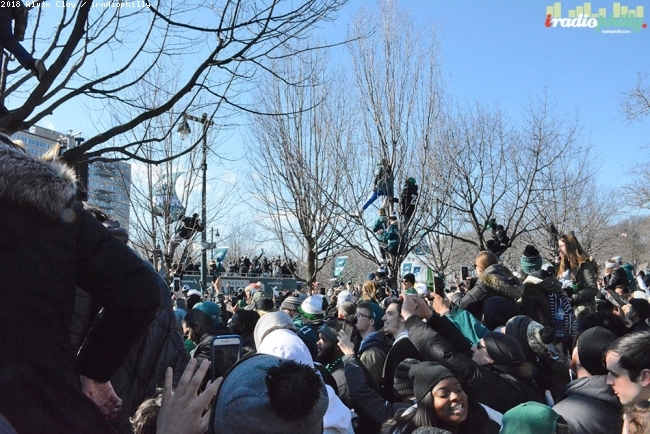 The team rode double decker touring buses along the route and interacted with fans along the way. 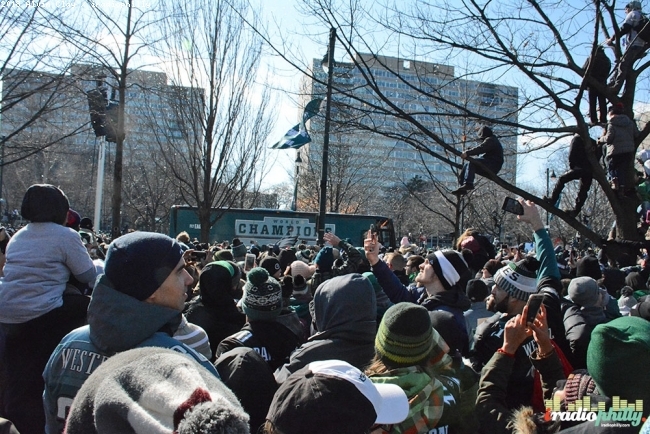 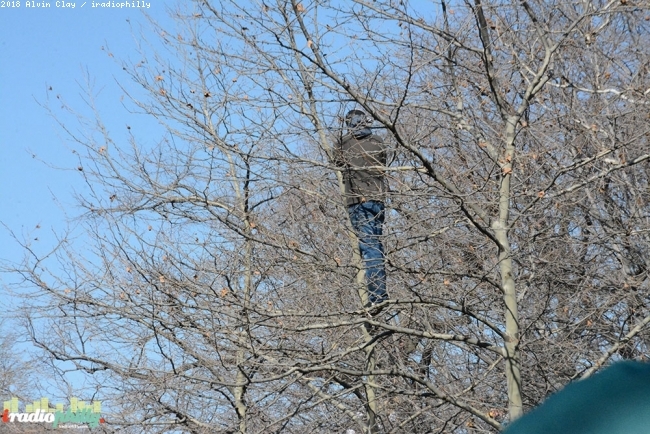 People started to come out in the early morning hours to secure their spot. 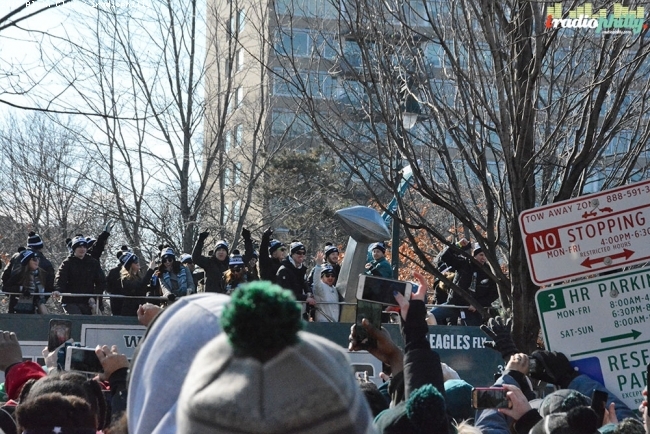 There was a ceremony and speeches on the steps of the Art Museum from team leaders and players. 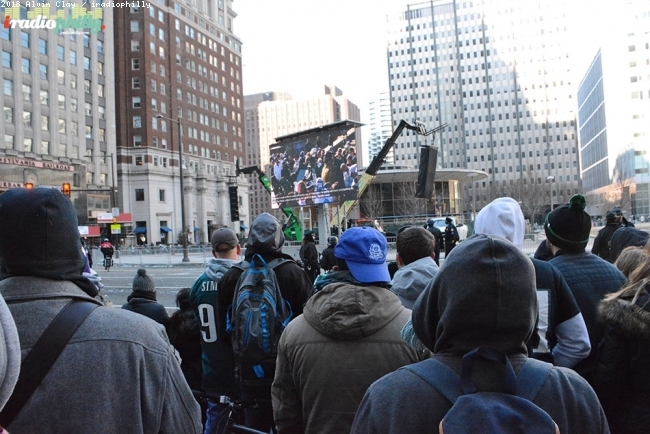 Fans could watch on jumbotrons along the way. 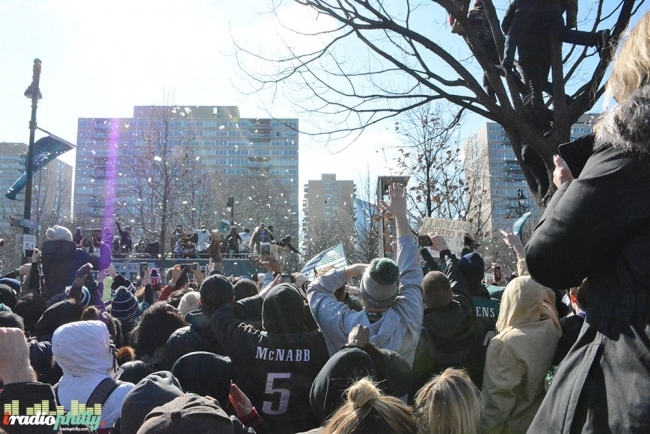 Let's make this party a habit.